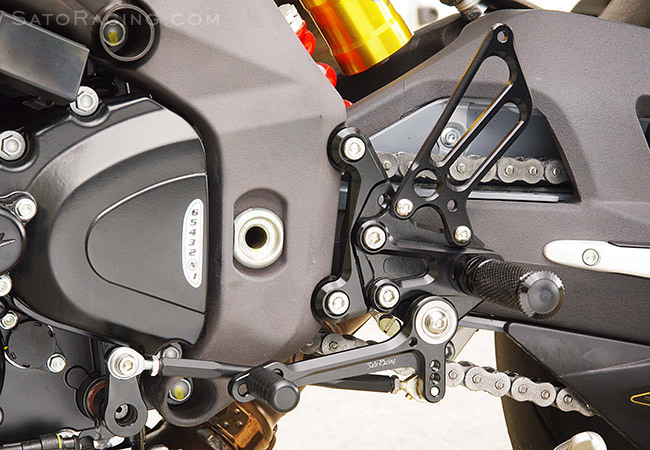 SATO RACING Rear Sets for 2010-2014 MV Agusta F4 models are made of high grade billet aluminum anodized in your choice of Black, Silver (clear metal), or vivid Gold finish. 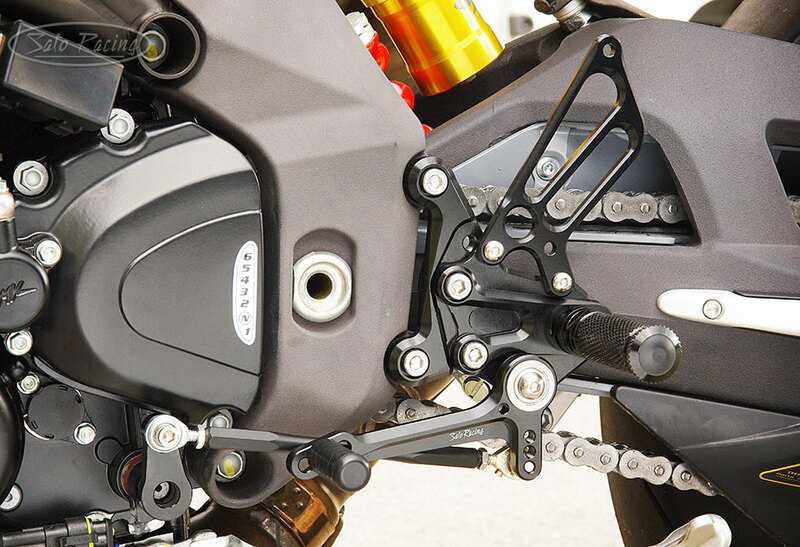 Modular step plate design lets you select from a wide range of adjustable positions so you can find the ideal position for your riding style. 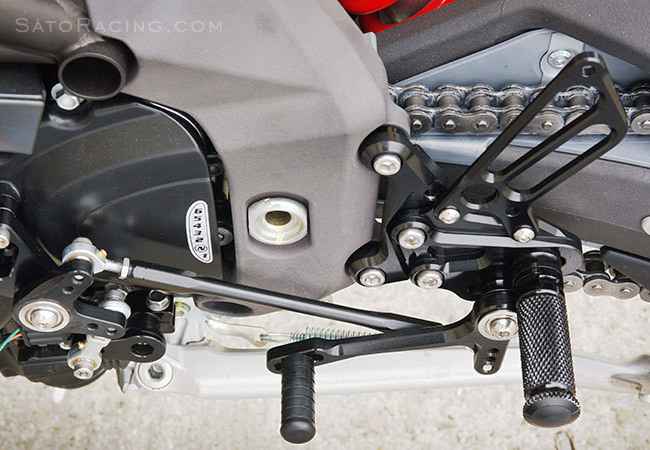 The standard Rear Sets provide a stock shifting pattern. 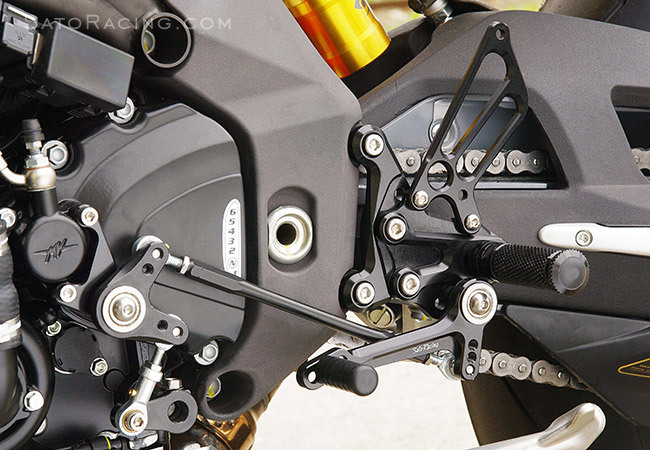 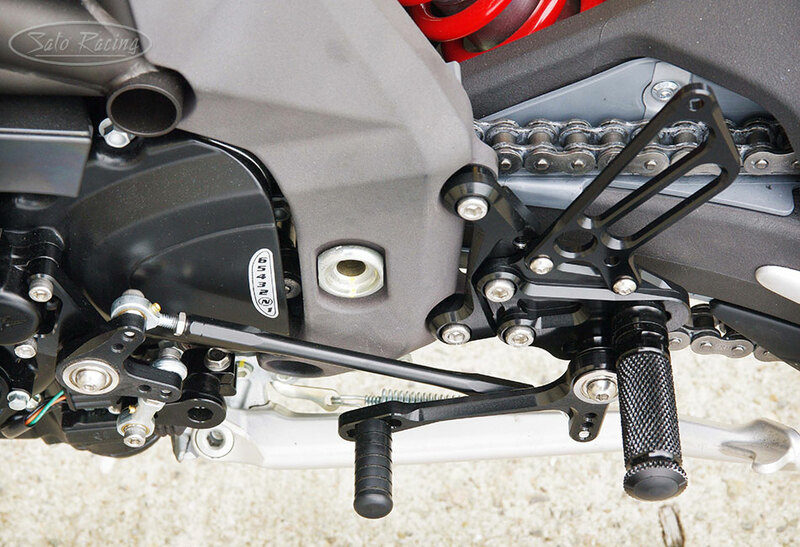 For riders who prefer a reverse shifting pattern, we also make dedicated Reverse Shift Rear Sets for F4. 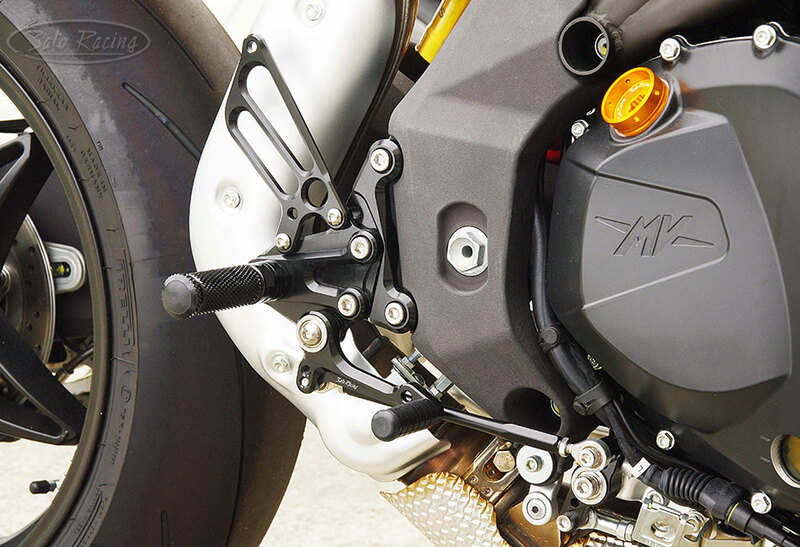 The multi-link brake assembly utilizes double stainless bearings at both ends for excellent feel. 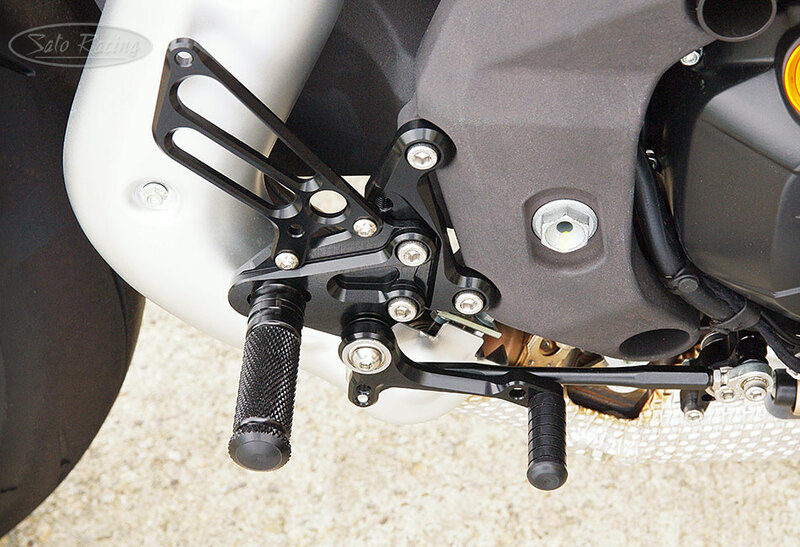 You can fine-tune the shift stroke by relocating the shift rod attachment point on the pedal. 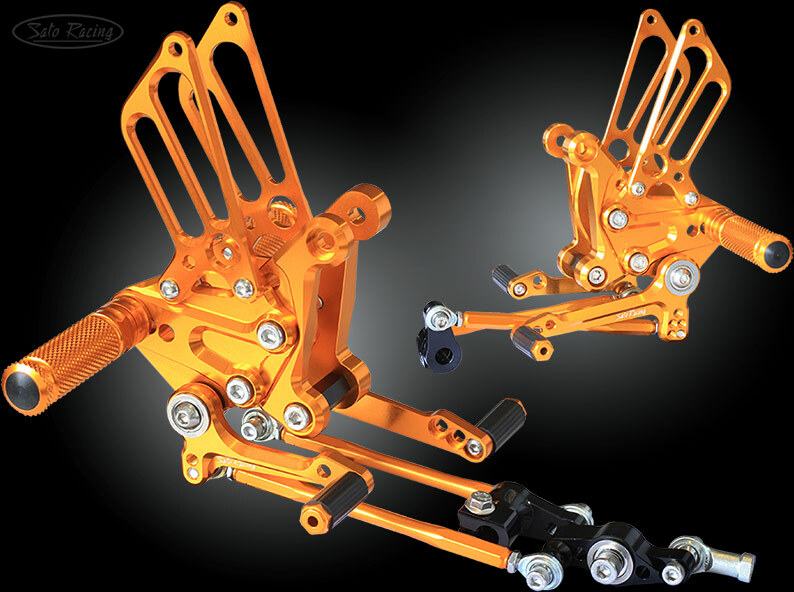 with the OEM quick shifter. 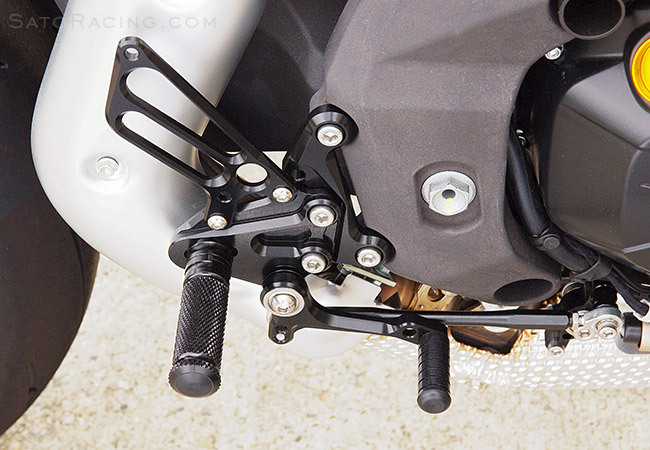 Can be installed with an inline-type quick shifter. 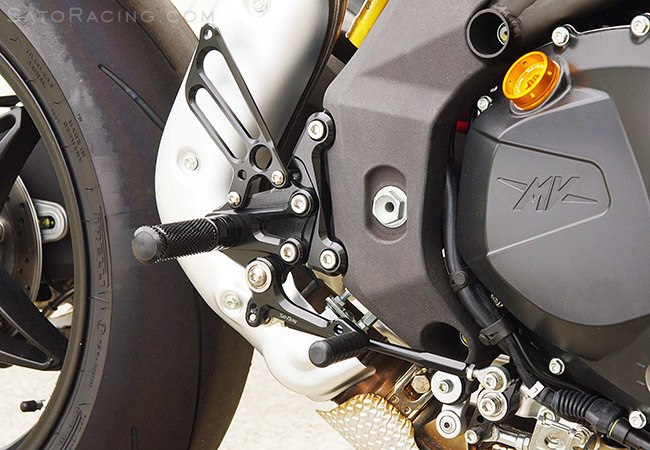 for riders who prefer a GP-style reverse shift pattern. 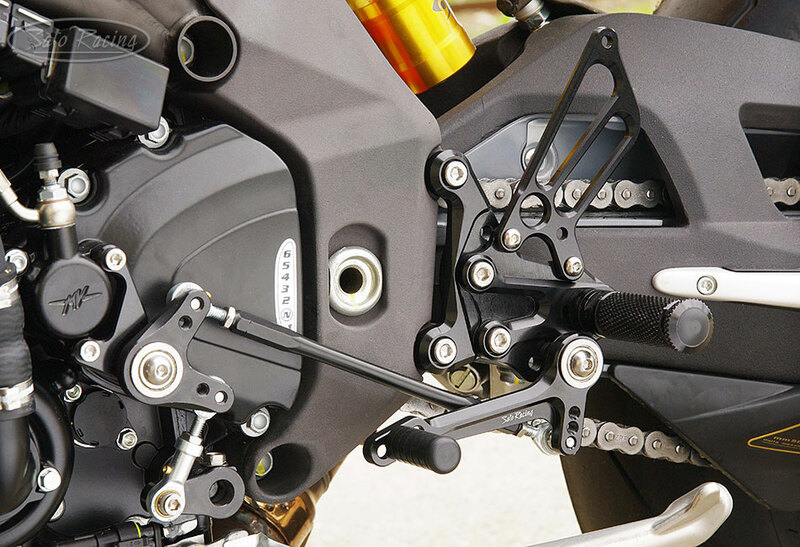 The reverse shift assembly has double stainless bearings at both ends for smooth, precise shift action.